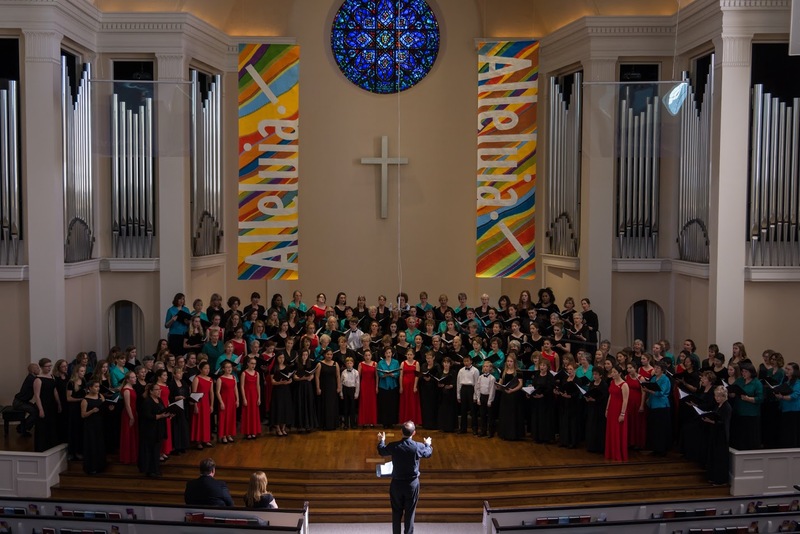 To create a vibrant choral experience that transforms and enlightens both singers and audience through exploration of the traditional and the unexpected in women’s choral literature. Excellence. WomenSing pursues excellence in all forms, from artistic achievement to organizational integrity. Significant Music. WomenSing performs music that enriches, inspires, and challenges both singers and audiences. Traditional/Unexpected. WomenSing values innovation and variety. We are dedicated to the preservation of standard women’s choral literature and are actively engaged in contemporary music. Community. Community takes many forms for WomenSing, from collaborations with other musicians and composers to a welcoming atmosphere within the chorus itself. Our Commissioning Emerging Composers program (formerly Youth Inspiring Youth), a collaborative education outreach project, is an example of musical community at its best. Honoring all our core values with a performance of YIY commission “8 Ways to Look at a Window,” based on a poem by Francesca Myhrvold, finalist in the River of Words poetry contest. WomenSing is joined by Bella Voce from Acalanes High School, Singers Marin Wings of Song and Voci Women’s Vocal Ensemble.